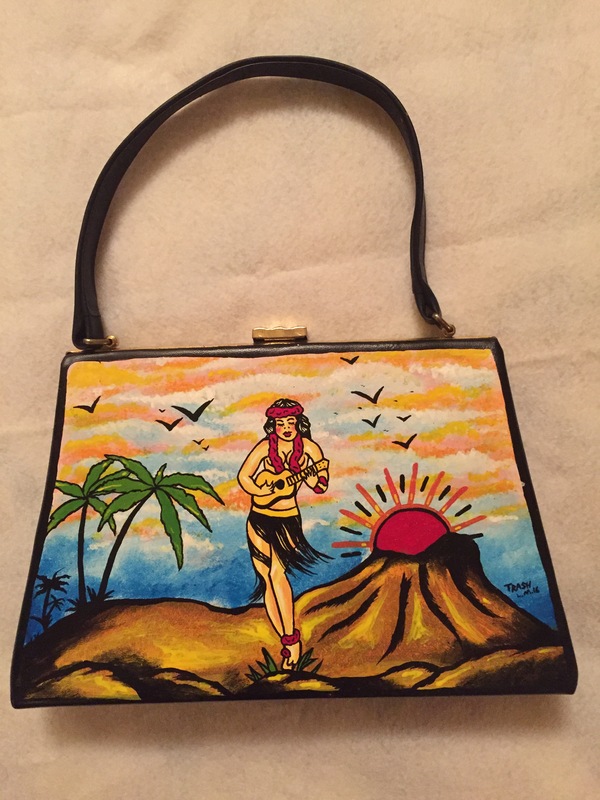 Lee has just finished another of our gorgeous vintage hand painted handbags. For this one he chose a Sailor Jerry inspired Hula scene. This stunning 1960’s navy blue handbag has a brocade fabric on the reverse and is simply beautiful. I’m so happy that this one is a gift for me (❤️) but we plan to have more of the similar (never the same … each Trashcan Emporium handbag is unique) very soon for around £120, so do watch this arty farty space. So … we have had a wonderfully arty farty day together today. 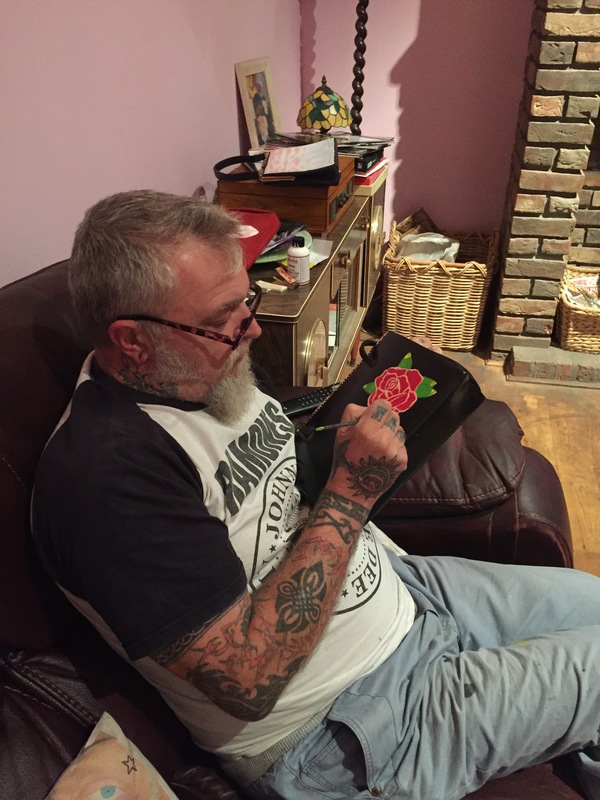 Lee and I side by side painting some tattoo inspired art onto some gorgeous vintage handbags. 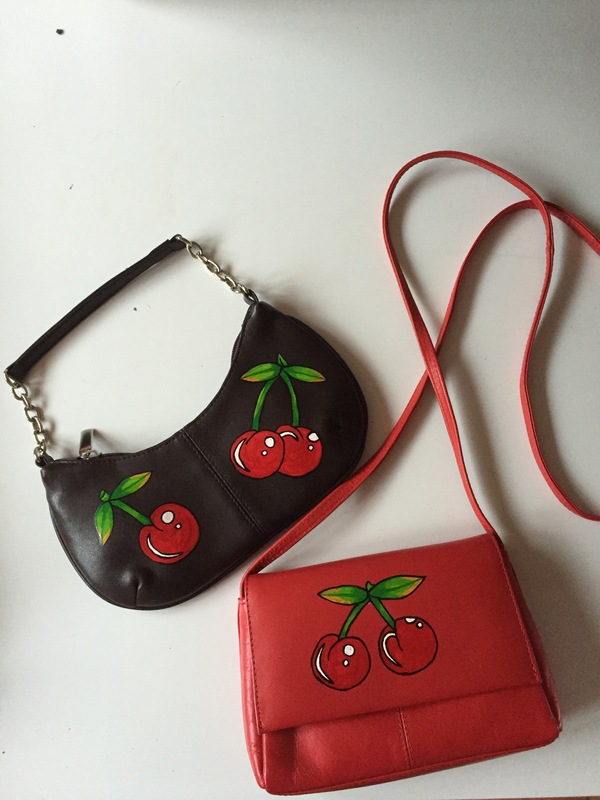 I am so pleased with our creations so far … we currently have 14 gorgeous handbags that are now each a work in progress!